The Lexmark X502n printer, suitable for almost any office space, will integrate all your document functions into one single, affordable, small design capable of color printing. In addition to the small carbon footprint, the printer presents a clear array of features which significantly elevates production more proficiently. The $700 printer is capable of printing, scanning, faxing, and copying. The 77 pounds of technology will fit on any desktop. The Lexmark X502n utilizes a color laser and a flatbed scanner with an automatic document feeder. With print speeds of 31 pages per minute in black, the flow of productivity in an office will thrive. Offices can have confidence that their central black & white documents prints swiftly. Printing color documents will average around eight pages per minute, and copy speeds average to 31 pages per minute in black. The copy and print speeds are comparable to each other. With the 1200 x 600 dots per inch resolution in black, your documents become secured in quality, readable texts. The color resolution for prints is the same as print-in-black. The scan resolution is 1200 x 1200 and offers decent quality documents. 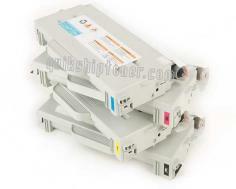 The Lexmark X502n will work with modern operating systems of Macintosh and Windows. The max capacity for the media is 780 pages. The max enlargement of documents go up to 400% and the max reduction will go down to 25%. The paper handling standard of 250-sheets in the output bin and 250-sheets in the input tray are indifferent. The limited warranty of one-year is worthwhile, and the warranty covers parts and labors should there be any malfunction. The recommended duty cycle is 35,000 pages per month. 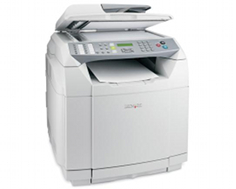 The printer permits PC faxing and facilitates a maximum transmission speed of 33.6 Kilo Bytes Per Second. The supported media types are pretty basic; labels, envelopes, transparencies, cards, and ordinary paper. The Lexmark X502n presents an excellent assortment of quality output, speed, and features but lacks the distinguishable details to make it a prime printer to the competing printers. Once the Lexmark 502n is in place, the straightforward setup will have you opening panels and removing restraints. 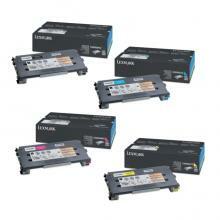 The toner cartridge has to be removed and prepared to reinstall them. The printer permits connections with Ethernet 10 Base-T and Ethernet 100 Base-TX; the printer is, therefore, network capable. The USB port should be used for single host/node computers. The service and support of the Lexmark X502n printer are rather mediocre with no option to save fax groups. When connected by USB port, the walk-up scan is not enabled. There could be some improvement in the grayscale scanning feature. The receivable faxes are not secure. Running on a 366 Mega Hertz processor, the 128 Mega Bytes of standard memory is not expandable. The printer costs between 700-1,700 dollars and should be cheaper. An expert editor gave the printer an exceptionally strong rating, also noting the printer does not allow for faxing from a PC. It clearly does not agree with the Lexmark specs of the printer. The editor also noted the key features of the printer lacks instruction for users. The printer is 19 inches in width, 17 inches in depth, and 21 inches in height, thus giving the printer a title of being compact but will not be ideal for a desktop. There is debate on that topic. The printer lacks finishing touches such as the stacker, stapler, binder, and collator. The quick-start guide is declared to be lacking the detailed instructions about scanning from the front panel. The user-guide fails to mention the default password, resulting in wasted time trying to apply common defaults to the printer. 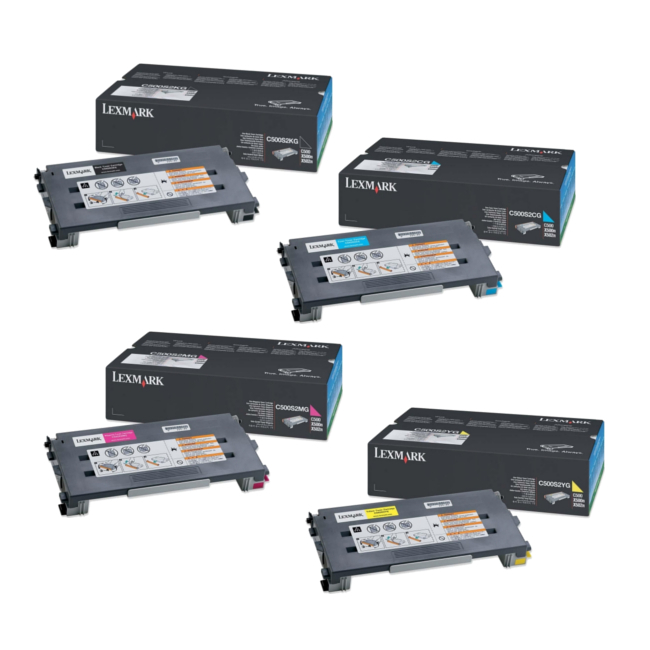 Review it: "Lexmark X502n "
One cartridge of black will print up to 2,500 pages, one cartridge of cyan will print up to 1,500 pages, one cartridge of magenta will print up to 1,500 pages, and one cartridge of yellow will print up to 1,500 pages.